2011 was a busy year. Far too busy at times. It seemed to end as it began with stories of those neighbours from hell bent on destroying the historic fabric of our little part of London. But in between it seemed we were fighting each other, when we should have been fighting the developers. We published four print editions and had regular stories on our website and snippets of news on our social media network throughout 2011. January's cold weather brought with it a planning application by retail giant Primark backed by the New West End Company who wanted to widen a mediaeval street. The ancient lane of Hanway Street was threatened by proposals to create a loading bay for a second Primark store on Oxford Street. Despite objections by community groups, residents associations and fans of the little street, both Camden and Westminster caved in to the retail giant. Permission was granted to widen the tiny lane to allow 18.5 tonne lorries to penetrate the rear of the store. How much does it cost to buy planning permission which allows you to irreparably damage a conservation area and trample on the human rights of residents by allowing 18.5 tonne lorries to start deliveries at 6am? In Camden, it cost only £950,000 for the high street retailer Primark to be granted planning permission. But then Camden has never valued its residents in the south of the borough very highly. The eastern end of Oxford Street is sad and in need of regeneration. We would certainly not support the destruction of a conservation area. However, we don’t believe Primark’s proposals will ruin the historic character of the street. We support Primark as they are a member of our organisation and our job as the New West End Company is to support our members. We are not in the business of criticising our members. We represent our members’ interests. We are no different to residents’ groups who represent their members’ interests. Likewise conservation groups represent their interests. January continued with more bad news. Community groups in Camden and Westminster, we reported, found out how the government’s cuts to local authority funding could affect them. Delegates at conferences were told that fewer community centres will receive funding, and many voluntary organisations will receive no funding at all. Camden will continue to offer annual revenue grants while Westminster have scrapped grants and introduced commissioning. When the Fitzroy river in Queensland, Australia broke its banks and caused huge flooding former Fitzrovia resident Sally Fiber was moved to act. This terrible Australian flood disaster took on new meaning for myself and everyone associated with The Fitzroy Tavern when news came that it was the Fitzroy river in Queensland that had burst its banks. I contacted Peter the manager of The Fitzroy Tavern who straight away agreed to support and help. Connections with Australia and The Fitzroy go back a long way. While demonstrations against the government’s austerity measures and education cuts continued a group of young people occupied a house in Fitzroy Square, posted a Section 6 notice on the door, and set up a Really Free School. Unknown to the squatters the house belonged to absent owner the film director Guy Ritchie. The media quickly descended on Fitzroy Square and laid siege to the mansion. The News of the World (remember them) got a reporter inside. While some residents joined in the activities of the Really Free School and wrote in support of them, others feared their homes would now be invaded by squatters. Many hard working and ordinary Fitzrovia residents now fear leaving their properties empty, even to go away at the weekend. Consequently, this sets a very dangerous precedent. Fitzrovia News assistant editor Linus Rees accused Aimery de Malet Roquefort of “hysteria” as the debate crept into the pages of the Camden New Journal. Fitzrovia News editor Mike Pentelow responded by saying that squatting was not unusual in Fitzrovia, and reached for his archives and Apple Mac to deliver two articles on squatting in Fitzrovia: one treatise about a nineteenth-century anarchist school in Fitzroy Square and an historical piece entitled 130 Years of Squatting in Fitzrovia. Later our reputation as Fitzrovia’s newspaper of record was challenged when we forced to publish a retraction and apology after we ran an article about a property developer. From that low point we bounced back. Editor Mike Pentelow announced that he was going to organise the biggest ever bender: a week long pub crawl where we would visit all of Fitzrovia’s 46 pubs. We listened in stunned silence as Pentelow produced a map showing the route of his road to oblivion. News site Londonist called our plans to vist 46 pubs “humbling” compared to other crawls where only ten pubs would be attempted. In our first printed paper of the year (FN120) we announced the pub crawl and included a four page feature pull-out listing all 46 pubs with a short article about each one. Fiona Green produced a photo story on people living in Tottenham Street and we carried features about the new Fitzrovia Community Centre, Clio Rickman, and Shelley. We also, sadly, reported the death of Bertie Dinnage after he lost his battle with cancer. This is one of the worst community newspapers you have ever produced. It has more in common with John Major’s view of Britain as a country of long shadows on cricket grounds and warm beer. Fitzrovia is threatened by several major developments and you have only afforded half a column to this vital issue in 16 pages of newsprint. In mid-March campaigners won their battle to protect the former Georgian and Victorian workhouse on Cleveland Street. The building was given Grade II listed status. In April we successfully completed our pub crawl without killing ourselves, though not for the lack of trying, and Alan Titchmarsh came to Fitzrovia to plant an elm tree. But as the days grew longer a new battle was emerging. 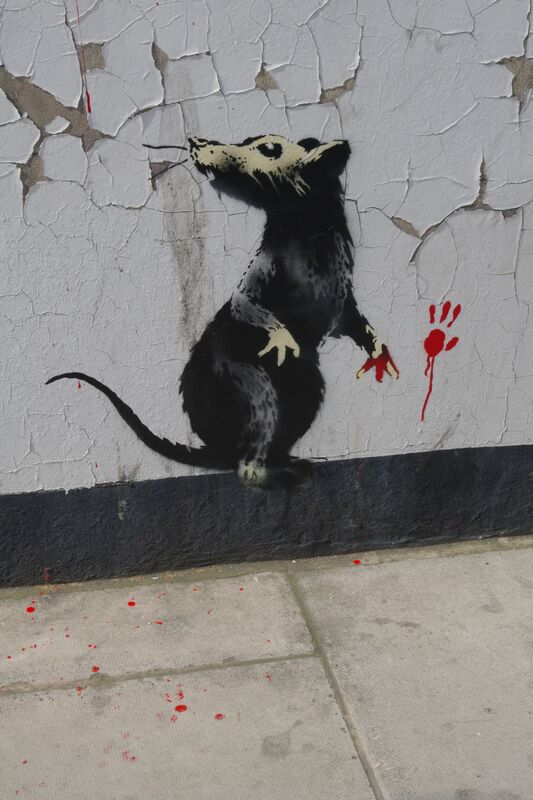 One night over the Easter weekend the street artist Banksy visited Clipstone Street and stencilled a mural onto a wall. News spread, and people came from far and wide to see the mural at first hand. And the usual debate about “is it art?” continued. But for Westminster City Council’s stuffed shirts there would be no debate. The work was graffiti and in line with their policy it was scheduled for removal. But the council was scuppered as support for Banksy’s artwork grew. First Camden’s Bloomsbury ward councillor Adam Harrison issued a public statement saying that the mural should be kept and protected; then an anonymous benefactor commissioned a worker to secure the mural behind perspex. Westminster City Council quietly retreated. Fitzroy Square residents took no chances. They went to the dogs. As summer approached goings on in the neighbourhood seemed to quieten down. 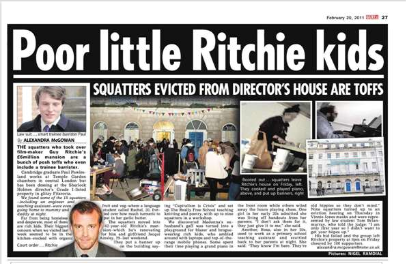 But the memory of squatters and the visit by Banksy kept Fitzroy Square residents on permanent watch. Behind Robert Adam’s frontages residents agreed that this was not a time for complacency and that Fitzrovia’s anarchist black block could return. The security guard is licensed, insured and trained in security and dog handling to the same standards as the police. The dogs are usually muzzled, but may be unmuzzled in response to a specific threat. The dog is trained to seize the arm of a suspect, unbalancing them so that they fall over, and then to pin them to the ground on their back until they are arrested. Fitzroy Square residents were right to be concerned, and gates to the gardens were rarely opened to the public during the summer. Their counterparts in Bedford Square took similar precautions with the chair of the Bloomsbury Association taking action which led to leaf blowers getting banned. 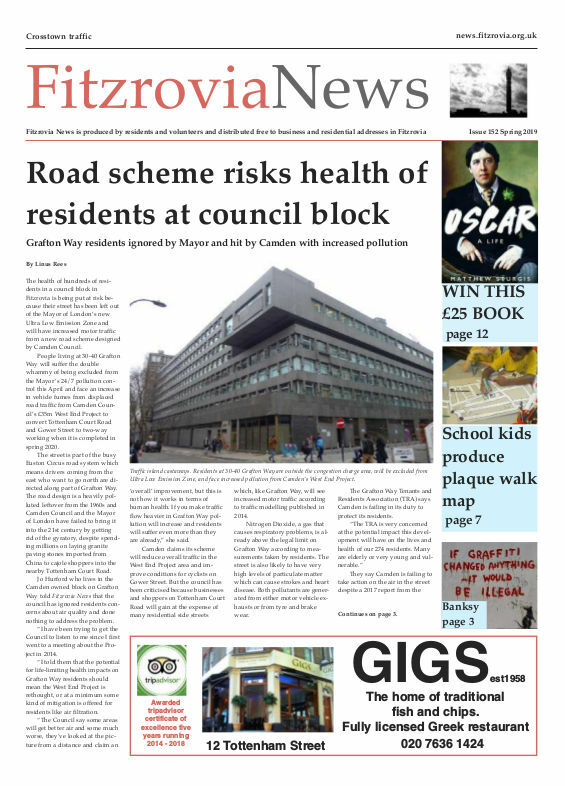 Things in the neighbourhood were again building up to a head and a new edition of Fitzrovia News was due out. High on the concerns of residents were the number of large developments that threatened the character of the area. Affordable housing and open space were in short supply and community groups feared the worst as a possible repeat of the Hanway Street debacle loomed. But a faction were pressing for more “good news” and “human interest” stories which the ordinary man and woman in the street could relate to. Advertising income was declining and editors started to quarrel for control over what should go in the forthcoming summer issue. This time it was news editor Pete Whyatt who rose from a deep slumber and came to us with an idea for a feature on property development. 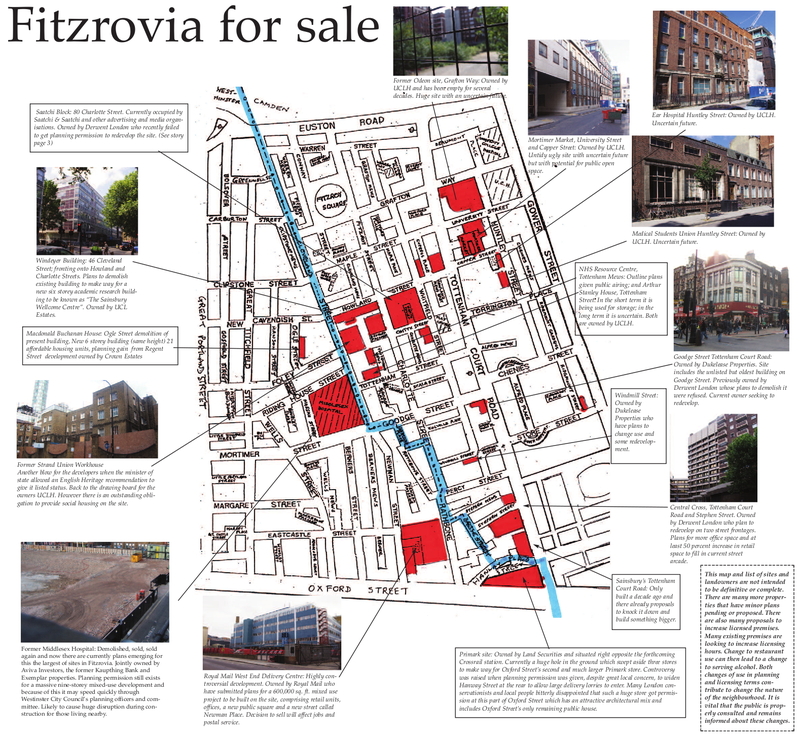 Fitzrovia For Sale would describe all the craters and potential building sites in the neighbourhood; who the landowners were and what was being planned. The feature would also include a map of the potential development sites, and an insight into the then forthcoming Localism Act. Our summer edition covered development sites. 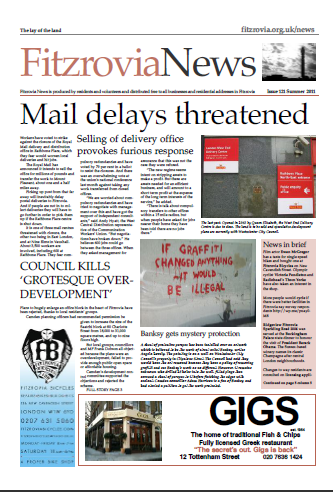 In the summer print edition we featured a story about the forthcoming closure and sale of Royal Mail’s West End delivery Office in Rathbone Place, Denise Julien described how the Payback scheme was improving facilities at Holcroft Court and giving offenders the opportunity to do meaningful work and avoid custody, a new toilet for Tottenham Court Road was proposed, and we had a feature on Bob Marley’s life in London. Captain Gripper reported how the flats at Cleveland Residences were being re-wired “and energy-efficient boilers have replaced the ones that sounded like they were about to explode”. 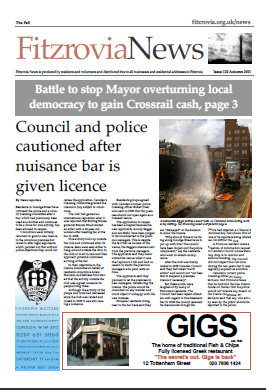 In the autumn print edition we featured articles about the granting of a licence for a notorious basement premises in Goodge Street, riot hit businesses in Warren Street, a profile of a man who has worked at Tesco Goodge Street for more than 40 years, and Sergio’s long-running restaurant in Great Titchfield Street. Sadly we carried two obituaries: Father Fudge of of St Charles Borromeo in Ogle Street, and Billy Morrisey who lived on Charlotte Street. In the autumn we carried stories about licensing and the rise of art galleries in Fitzrovia. Fiona Green wrote about Joseph the homeless artist who attends her art class. Clive Jennings described the rise of art galleries in Fitzrovia. Brian Jarman interviewed acrobatic dance artist Merian Ganjou. Jess Owen told the story of how two Fitzrovians, John Labern and Jack Sharp, played a significant role in the consequent development of popular music. There was also an appeal for support from the Fitzrovia Neighbourhood Association after they suffered grant cuts from both Camden and Westminster councils. Fitzrovia’s oldest woman responded by asking people to support our Neighbourhood Association. 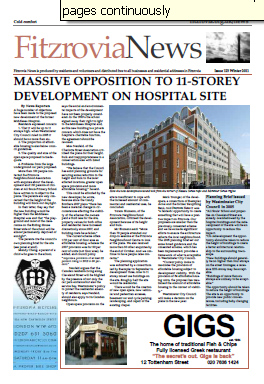 Two stories dominated our winter print edition: the Mayor of London Boris Johnson’s approval of a planning application submitted by Derwent London to redevelop the Saatchi & Saatchi building on Charlotte Street; and the planning application submitted to Westminster City Council by Exemplar to redevelop the former Middlesex Hospital site. We reported on yet another application which threatened to destroy the oldest building on Goodge Street. Building developments dominated our winter edition. 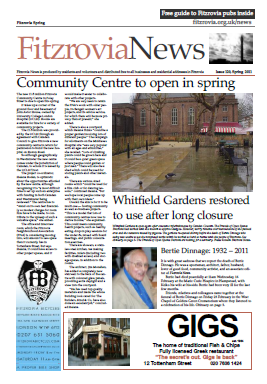 We had features on gardening at Whitfield Gardens, independent shops and services in Fitzrovia, and Brian Jarman interviews novelist Jacqueline Winspear about her novel set in Fitzroy Square. Throughout the year we featured a short story by Sunita Soliar and a food column by Sally Beerworth. Kipper Williams’ cartoons featured in every issue as did the illustrations of Clifford Harper. Every issue had a back page full of listings. If you want to get involved with Fitzrovia News in 2012, please contact us or come to our public editorial meetings. 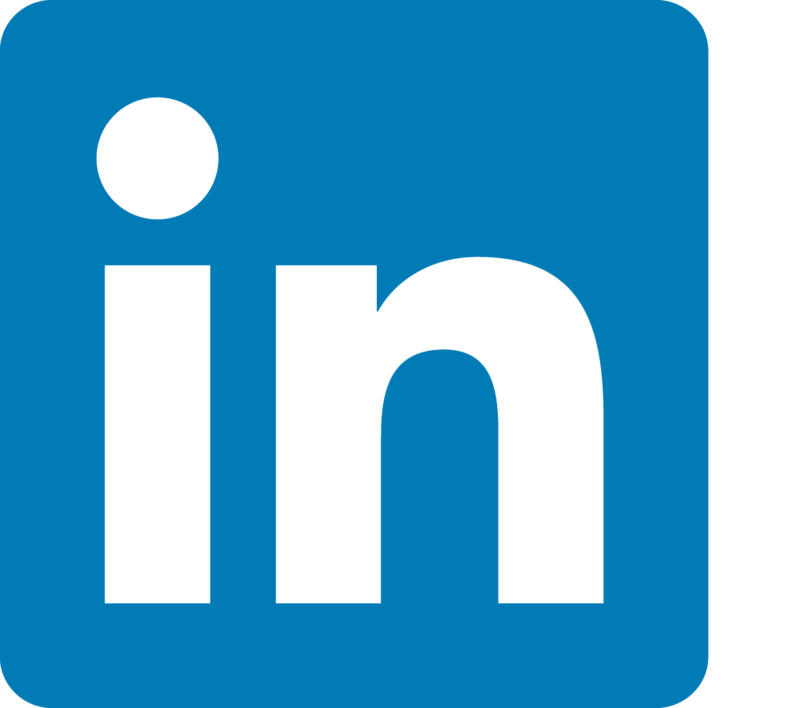 You can also follow us on Twitter, Facebook, Google+ and Linkedin.